Multiple brands in your portfolio — should they be separate or relate? We’re often asked this question — should our sub-brands be distinctive from one another or relate to each other? They can relate visually, with a similar identity system, or use a standardized naming structure, or a color palette that connects them at a glance. Brand architecture is a blueprint to define relationships and a visual system. 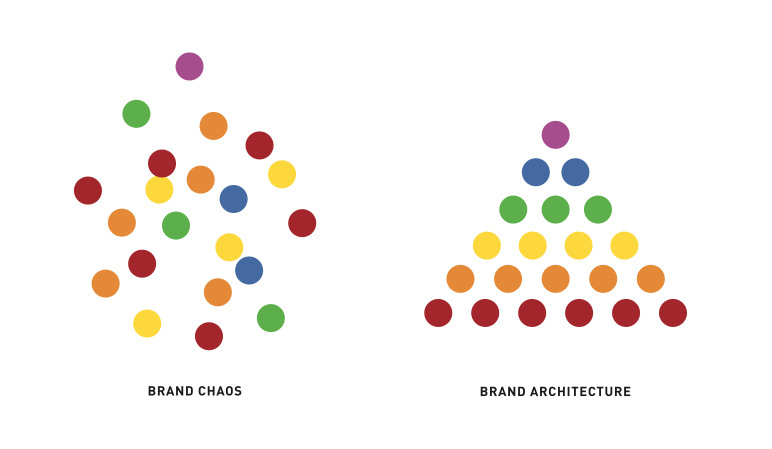 Thanks to MSLK for this simple graphic to explain brand chaos instead of an organized brand architecture. Many companies have a series of product or service brands which, to create clarity, are named and branded differently from one another. Often once separate brands are created, the process continues without a design plan. Result? Brand chaos. It makes sense to distinguish the unique characteristics and benefits of different products from one another. Checking account vs. investment account. Maraschino cherries vs. dried cherries. Toothpaste vs. shampoo. 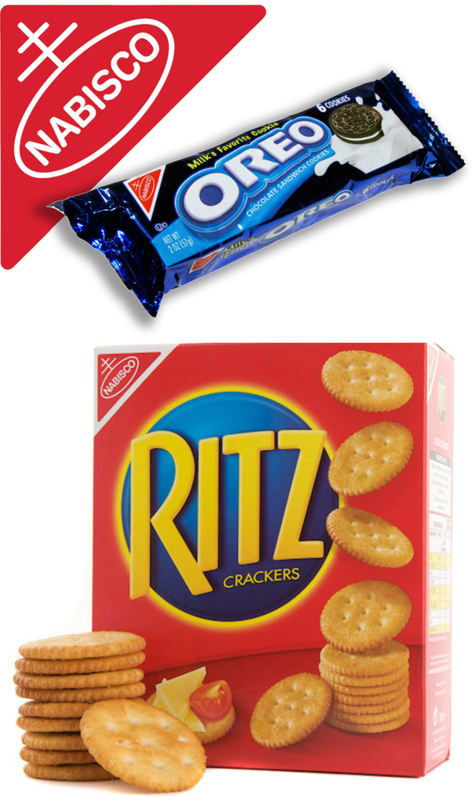 Crackers vs. cookies. Brands are often created because they have a unique purpose or a specific target audience. This article on MSLK offers a descriptions of the levels of brand organization. Yet without a plan and design theme, the brand family becomes cluttered and confusing … too many looks, no clear relationship, a mess of busy logos and random colors. That’s when it’s time to create a structured and defined brand architecture with standards. Consider your series of brands as a) children of a parent, b) siblings to each other, c) cousins, d) distant relatives, or e) unrelated. When choosing the relationship, first analyze the perceived value the parent owns in the minds of your audiences. Is it strong enough to lend strength to a sub-brand? Or does the product or service brand have a large enough audience to stand on its own? The relationships of the various sub-brands is a choice for company leadership to make — to choose how close or distant the brands are from one another and the parent brand. Take a look at how consumer packaged goods companies manage their brands. The Coke family of brands include siblings that are close to the parent. 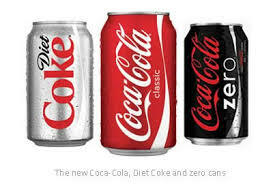 Consider Coca-Cola: The parent company name is Coca-Cola, the main product is Coca-Cola with various derivatives of Coke, Diet Coke, Coke One. Consider them siblings still very connected to the parent, a tight family. Color and the distinctive Coca-Cola script ties each brand to the parent. Another level is Nabisco, with individual brands for cookies like Oreos or crackers like Triscuits and Ritz. Each product and brand stands on its own, but the red shield on the package clearly identifies every one as part of the Nabisco family of brands. Nabisco uses a family tree approach, with each “leaf” unique but visually and purposefully connected to the Nabisco trunk. For Nabisco, as well as companies like Kellogg’s and General Mills, it’s important to create that identifier, to use the company brand to connect the various and disparate products. Procter and Gamble brands offer a wide range of products, each as distinctive brands without a connection to the parent company. At the far end of the spectrum is Procter and Gamble. At this mega-company each brand is treated as a separate entity, complete with a brand manager, separate P&Ls, and individual advertising budgets. In fact, only when you look at the back of the product’s package, in fine print, will you find the Procter and Gamble name. Each of these three levels of brand architecture are determined by the parent company. Financials, management and advertising are all structured to support the chosen brand relationships. The brand identities, too, must be designed to fit the chosen brand architecture. Consider the same relationships for your brands. The same relationships can be used to organize service and product brands. However, for a smaller company, it doesn’t make sense to create a series of individual brands like Procter and Gamble. It would spread a limited budget too thin to be effective. Few companies have the marketing budget of P&G! When choosing the brand relationships, the reputation of the parent will influence how closely product brands are aligned to the parent and to one another. Bottom line, if your products and services fulfill on the overall mission of the organization, they should visually connect to the parent. Each can define its own purpose with a separate positioning statement, specific icon and different name. Create a structured brand architecture and design system. When you choose a structure and design system, you’ll help your audiences recognize what you have to offer, even with a series of sub-brands. Sub-brands can help audiences focus on a specific outcome. If your organization offers many services or products, sub-brands will support marketing and add scope and breadth to what you offer. Yet be careful about spreading your brands too wide. Crest can relate to many levels of toothpaste and dental products. But would you want Crest shampoo? I think not. 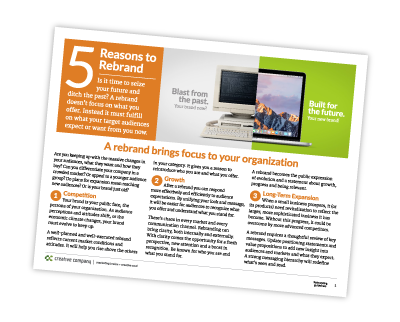 When it’s time to brand or rebrand, use these resources. And download our rebrand guidelines to check your current brand.